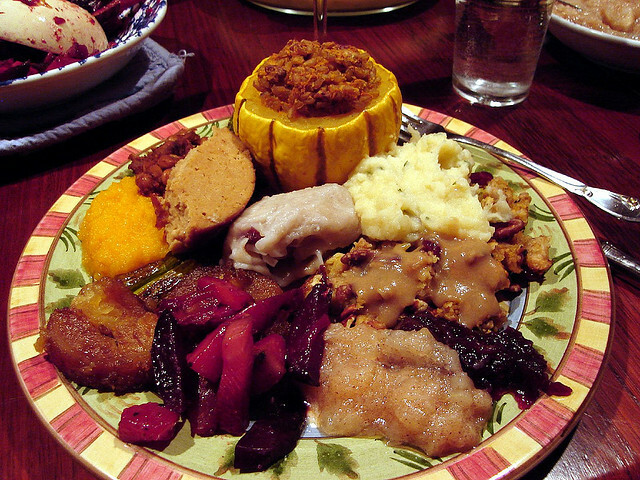 Americans celebrate Thanksgiving usually with roasted turkey as the main dish of the dinner. What if you are a full vegetarian? Well, you are not forced to put a turkey meat in the oven if you are not into it for religious or personal reason. Here are non-traditional and healthy recipes that you can prepare for the upcoming family Thanksgiving party. For a sweet and a little bit spicy, this Tofurky is a good alternative to Turkey. 1. Aside from the Tofurky roast, toss all the ingredients in a small or medium bowl and mix. 2. 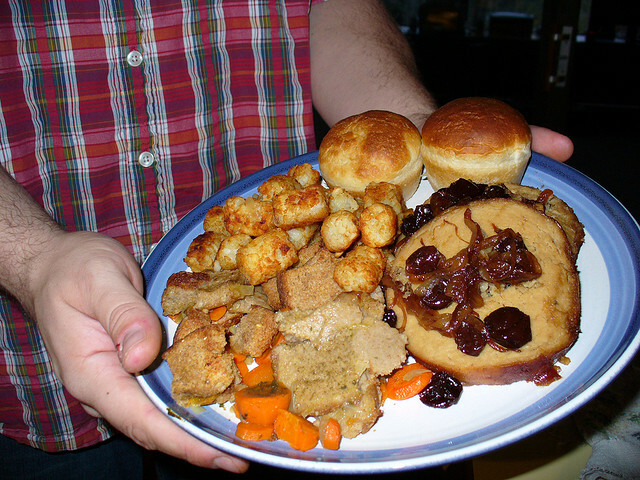 Roast the Tofurky or other mock vegetarian turkey. 3. As you cook the Tofurky, baste it with the mixture. 4. Coat the Tofurky from time to time to become glazed. Another Tofukey recipe that you can choose is glazed with maple twisted with a sweet taste. 2. Mix maple syrup, chili paste, 5-spice powder, garlic, red wine vinegar, and soy sauce together in a small bowl or cup. 3. Coat the Tofurky with the mixture. 4. Cover the Tofurky and place in the fridge for 4 hours minimum. 5. After refrigerating, drain the Tofurky. Set the marinade aside. 6. Place the Tofurky in a roasting pan and roast for 45 minutes. Baste it with the marinade occasionally. 7. In a skillet, toast pecans. Set aside. 8. Remove the Tofurky after successfully roasted. Sprinkle with pecans. Add some veggies on the table. This is a good recipe for side dish on your Thanksgiving. 2. In a platter, pour 2 tablespoons of olive oil on the squash. Mix to coat. 3. Place and spread the squash on a baking sheet in an even layer. 4. Sprinkle with rosemary, salt, and pepper. 5. Roast for 20minutes or until the squash it tender. 6. Remove the squash from the oven and set aside to cool. 7. Peel and slice tangerines and set aside. 8. Get the juice of the other tangerine and pour in a separate bowl or cup. 9. Mix the tangerine juice with olive oil and rosemary. Add salt and pepper. 10. 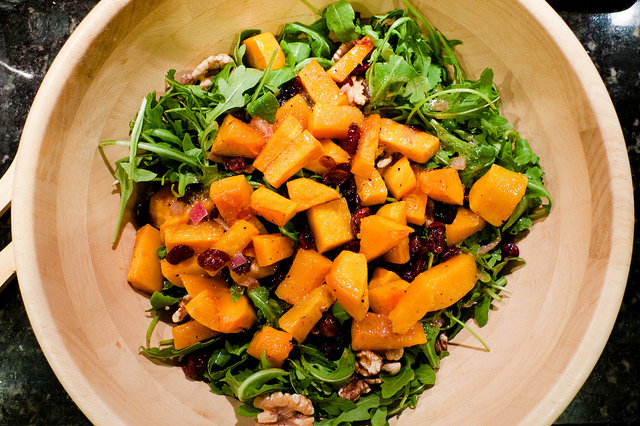 Combine the spinach, cranberries, and sliced tangerine with the squash. Pour the dressing to coat and mix. 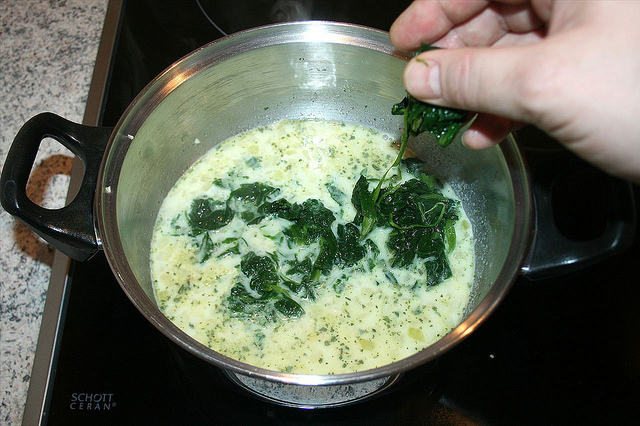 Baked spinach mixed with cheese, cream and milk is a delicious treat for Thanksgiving dinner. It is an easy recipe to make for other special occasions, too. 3. Add onions and sauté. 4. Pour nutmeg and flour. Stir to combine with butter and onions. 5. Add heavy cream and milk. Mix constantly. 6. Remove the mixture and pour into a baking dish. 7. 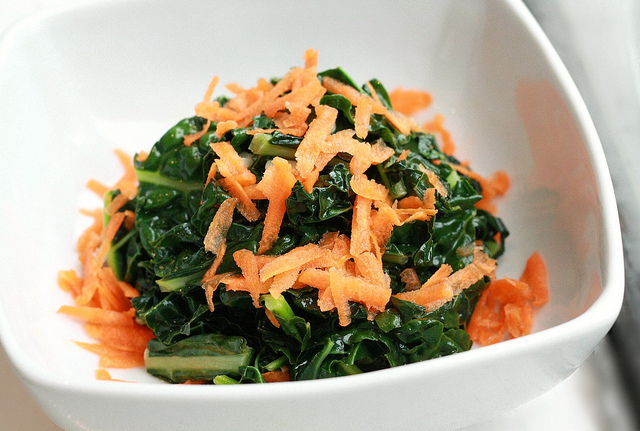 Toss spinach in the sauce and combine to coat the vegetable. 8. Season with Parmesan cheese. Mix. 9. Sprinkle with salt and pepper to taste. 10. Add more Parmesan cheese and Gruyere cheese on top. 11. Bake for about 20 minutes. This makes a lovely glazed carrot dish on your table. It is a great way to lighten the eyes of your family, and probably guests. 1. Peel carrots and cut diagonally. 2. In a large pan, put the sliced carrots, 1/3 cup of water, salt, and pepper. Sauté until it boils. 3. For additional 8 minutes, simmer the carrots. 4. Add butter in the carrots and sauté. 5. Remove the carrots and place in a bowl or platter. 6. Sprinkle with parsley or dill. Any vegetarians or those who want to add some non-traditional foods on the table for Thanksgiving can make these recipes. Each of them will surely prove you have made the right choice for not following the common custom. In addition, these dishes are not just good foods to serve during Thanksgiving, but also in other special occasions and ordinary days. They are very healthy so kudos to that!